These puffs are essentially muffins. But since they are made with butter and shortening, they are way more flavorful and have a slightly denser texture. I actually found myself craving these more than I would a muffin. I guess adding extra fat to the batter makes it that much better! This process takes a bit more time and effort since I had to break out the kitchenaid to cream the butter and shortening, but it was well worth it. Once they bake up, brush them with melted butter and dunk in cinnamon sugar. I say brush because I've read that actually dipping the whole puff in the butter makes the puffs too greasy. So brush away and coat these in the good stuff. These puffs have adorably cute rounded tops and a pale color. The crumb is super moist and tender. 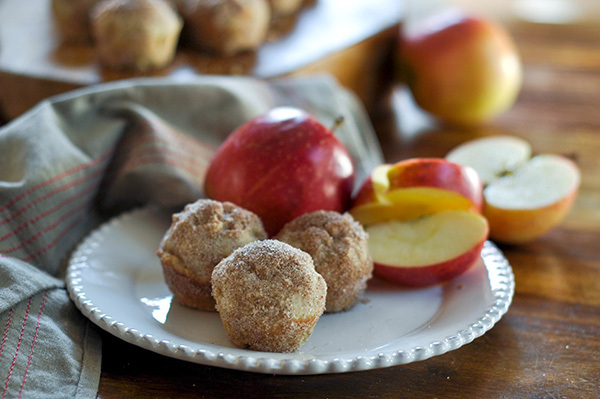 I added tiny cubes of apple to the batter for a sweet burst of apple with each bite. The muffin isn't too sweet since I was coating these in cinnamon sugar anyways. But these make for an amazing breakfast and midday snack. I apologize for such a short post, but it's been a long day, kids are screaming non stop in the background andI've lost all concentration and patience. I guess all I can say is, these puffs are awesome. Please try it this weekend. They won't disappoint! Now it's onto my next bake! Preheat oven to 350 degrees. Lightly grease 24 mini muffin cups. 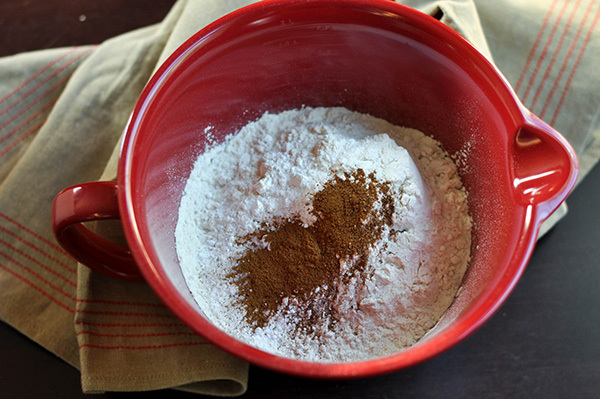 In a large bowl stir together flour, baking powder, salt, Cinnamon and nutmeg. Set aside. In a large measuring cup mix buttermilk and apple cider together. In stand mixer, cream together sugar and shortening. Then add eggs and beat together to well combined. Add flour mixture and buttermilk alternately to creamed mixture, beating well after each addition. Fill prepared muffin cups 2/3 full. Bake at 350 degrees for 12-15 minutes or until lightly golden. In a bowl, melt 1 stick butter. In a separate bowl combine remaining sugar, cardamom and cinnamon. 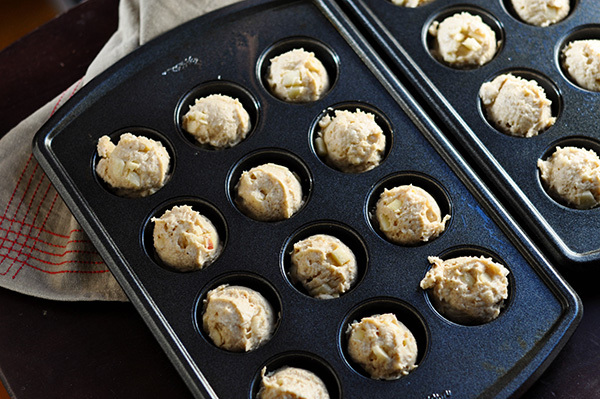 Brush each baked mini muffins with butter, coating thoroughly, then coat with cinnamon-sugar mixture.